Exploitation of weaknesses in corporate security is increasingly destructive and frequent. Further, dangerous impairment of critical infrastructure is a serious concern of Homeland Security and the Department of Defense. A key vulnerability across all sectors is the failure to control real-time access and authorization, while correlating data from events and alerts across the corporate, operations and cyber security silos in which they are logged. As long as Corporate Security and Cyber Security functions are segregated on different planets, everyone is at risk. 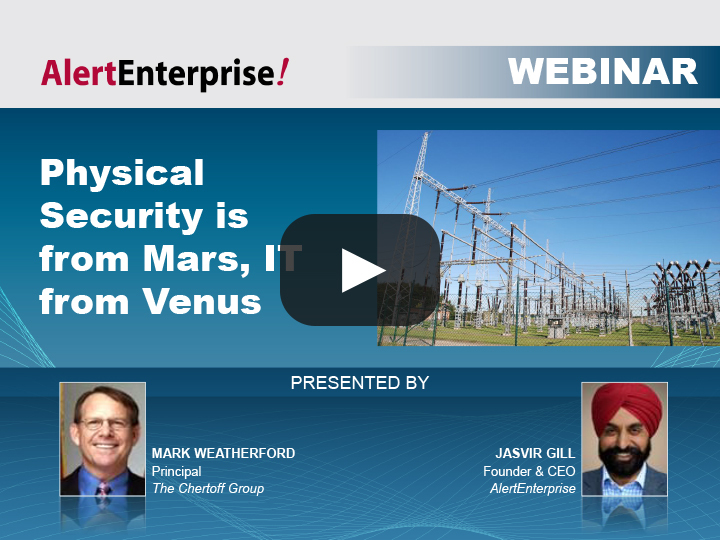 This webinar will highlight innovative approaches to preventing and, when necessary, responding in fast and informed ways to security events and alerts across physical, IT and operations security silos. How to align physical and corporate security with IT to address emerging Cyber Security threats will be addressed. Examples from Financial Services, Manufacturing and Energy where there is a vital need to monitor and coordinate physical, IT and operational security will be provided. Hear the experts. Don’t be a victim.